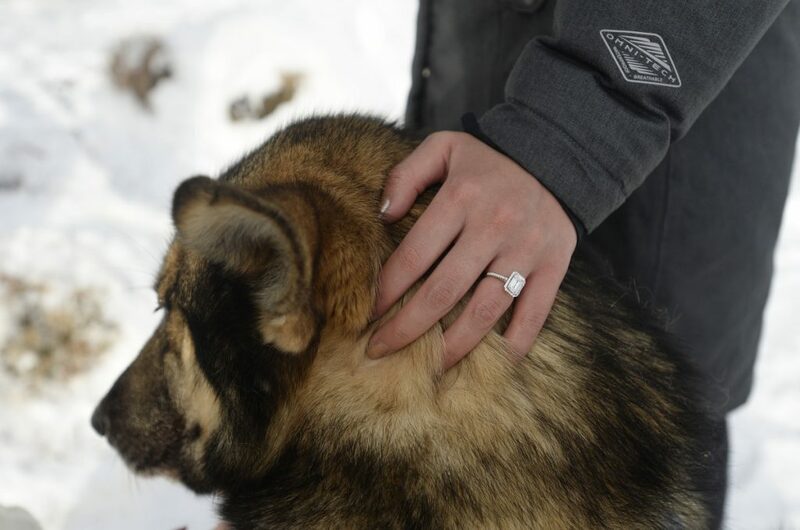 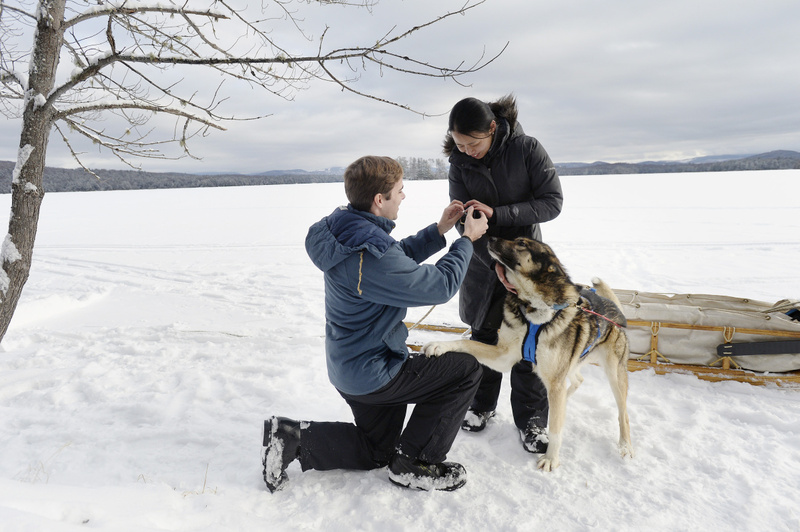 Tim McDonald proposes to his girlfriend, Lulu Wang, as Teslin, the sled dog looks on during a dog-sledding trip Thursday on Umbagog Lake in Errol, N.H.
Tim McDonald and Lulu Wang kiss after she accepted his proposal. 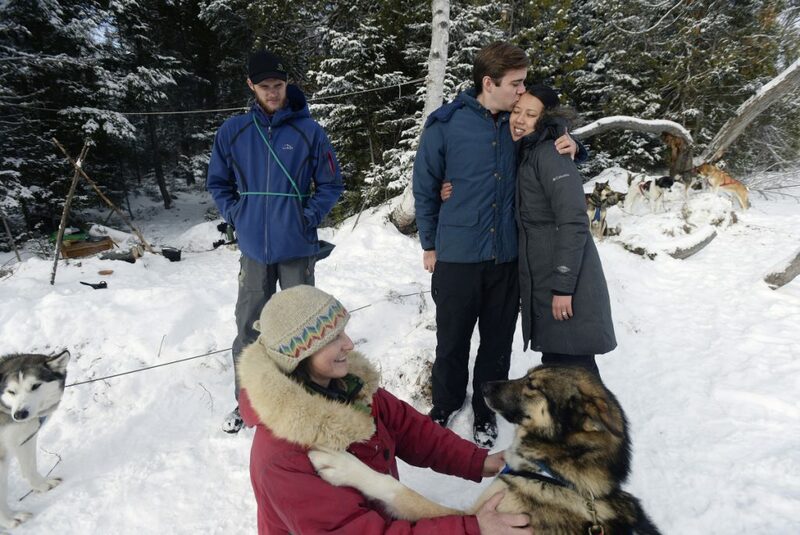 Tim McDonald kisses Lulu Wang after he proposed during a dog-sledding trip on Umbagog Lake in Errol, NH. 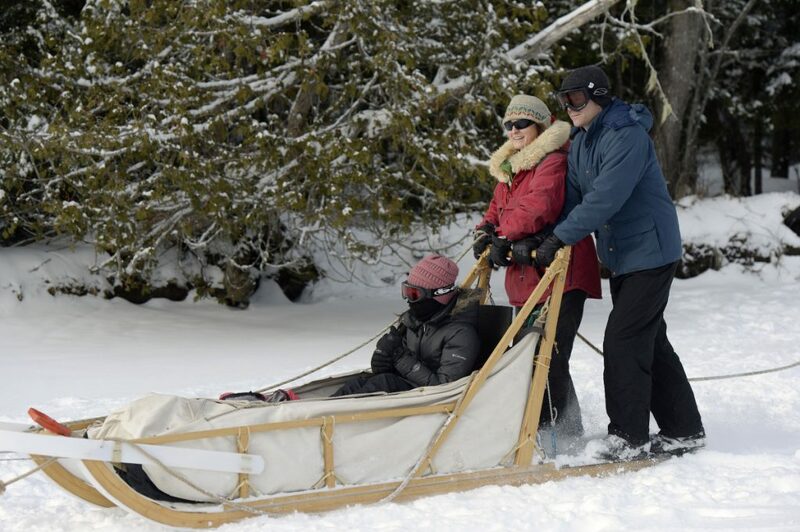 Guide Polly Mahoney, left, and assistant guide John Chapman, lower right, heat soup and bagels for their guests Tim McDonald and Lulu Wang. 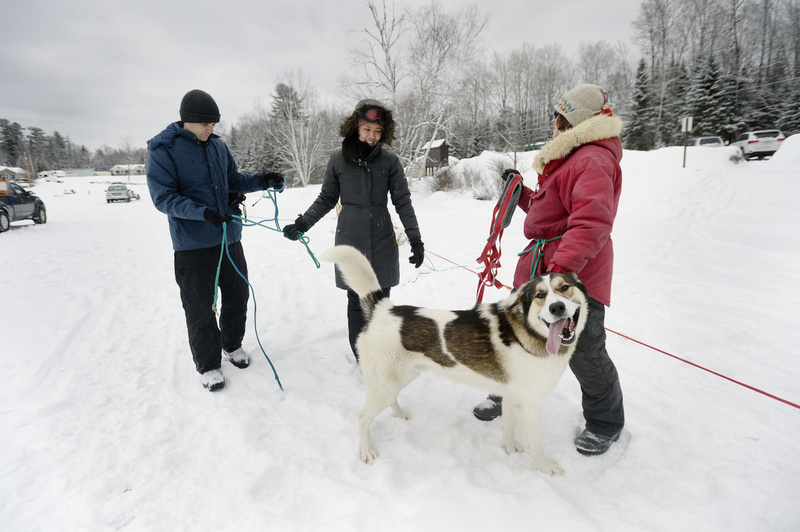 Tim McDonald and Lulu Wang get ready for their dog-sledding trip on Umbagog Lake with Polly Mahoney, right. 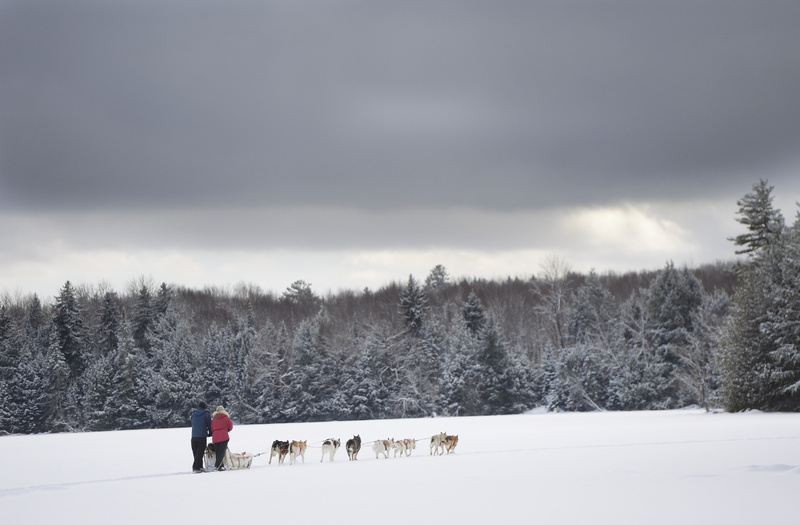  Tim McDonald and Lulu Wang go dog sledding on Umbagog Lake with Polly Mahoney. 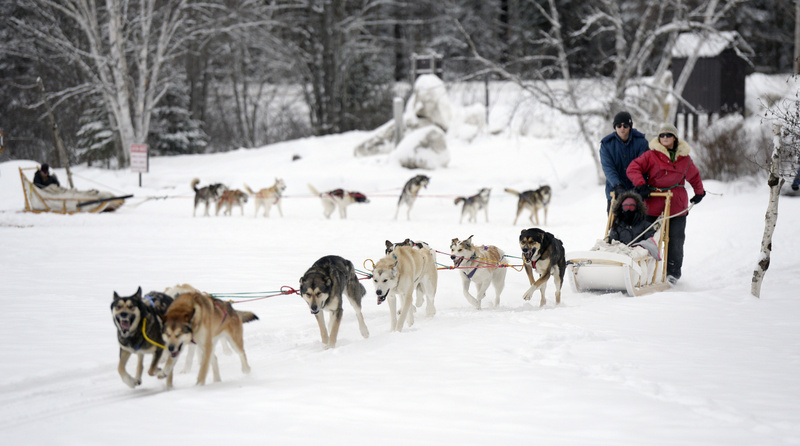 Tim McDonald and Lulu Wang, in the sled, go dog sledding on Umbagog Lake with Polly Mahoney.